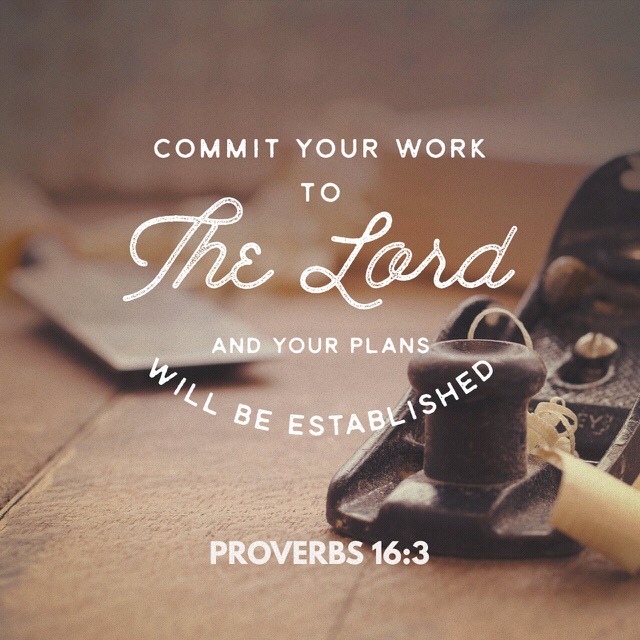 Encouragement: Proverbs 16:3 Commit thy works unto the LORD, and thy thoughts shall be established. Literally, roll them upon Him, as a burden too heavy to be borne by thyself. “Thy works” signify all that thou hast to do. 1 Corinthians 3:9 For we are labourers together with God: ye are God’s husbandry, ye areGod’s building.